The first purpose of this experiment was to find which brand of wood pellets would burn the longest. My second purpose was to find which brand of wood pellets would burn the hottest. I became interested in this idea after we bought our wood pellet stove. All of my parents’ friends told us of many different brands of wood pellets that burned the longest and the hottest. 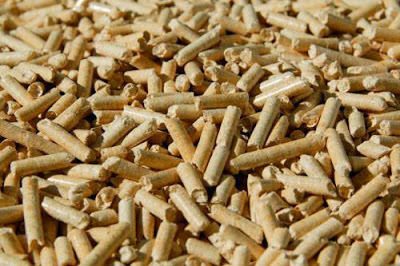 The information gained from this experiment could help consumers who own a wood pellet stove know which brand of wood pellets burn the longest and hottest. My first hypothesis was that Bear Mountain Pellets would burn the longest. My second hypothesis was that Lignetics Wood Pellets would burn the hottest. I based my first hypothesis on my own experience using Bear Mountain Pellets. I had found that 18.1 kg burned for 36 hours. I based my second hypothesis on the fact that the Lignetics Wood Pellets cost the most. Sometimes you get what you pay for. The manipulated variables were different brand of wood pellets inserted into the pellet stove. The responding variable was the time it took the pellet stove to burn 2.5 kg of wood pellets. Also the average temperature of the pellet stove. To measure the responding variables I timed in minutes how long it took the wood pellet stove to burn the different brands of wood pellets. Also I measured the average temperature of the wood pellet stove in degrees Celsius using an over thermometer. 1. Clean the wood pellet stove removing all pellets and make sure that it is cooled down. 2. Place 2.5 kg of Bear Mountain Pellets into the stove. 3. Place the thermometer on the grill so that it is in the middle. 4. Turn the pellet stove on high and start the timer. 5. Every 20 minutes record the temperature on the thermometer. 6. After the pellets have burned completely record the time. 7. Now record the maximum temperature. 8. Repeat steps 2-7 two more times with the same brand of wood pellets. 9. Repeated steps 2-8 but change the brand of wood pellets to Lignetics. 10. Repeated steps 2-8 but change the brand of wood pellets to North Idaho Energy Log Inc.
12. Find the average time and temperature for each brand. The original first purpose of this experiment was to find which brand of wood pellets would burn the longest. My original second purpose was to find which brand of wood pellets would burn the hottest. The results of the experiment were that North Idaho Energy Logs Incorporated wood pellets had the longest burning time of 111 minutes. Hot Shots wood pellets had the second longest burning time of 107 minutes then Bear Mountain with 100 minutes., and Lingnetics with 96 minutes. Bear Mountain had the maximum temperature of 150°C. then Lingnetics with 138°C., then Hot Shots with 123°C, then N. I. E. L. Inc with 120°C. After reading over the data the best overall wood pellet brand would be Bear Mountain and North Idaho Energy Logs Inc. The results indicate that my first hypothesis should be rejected, because Bear Mountain wood pellets were third. First was N. I. E. L. Inc. with 111 min. and second was Hot Shots with 107 min. The results indicate that my second hypothesis should be rejected, because Lingnetics wood pellets did not burn the hottest. Bear Mountain did. After thinking about the results of this experiment, I wonder if the type of wood pellet stove would affect the outcome. If I were to conduct this project again I would conduct more trials. I would also use a larger amount of wood pellets per test. I’d use a more exact temperature measurement, such as a computerized thermo-couple.